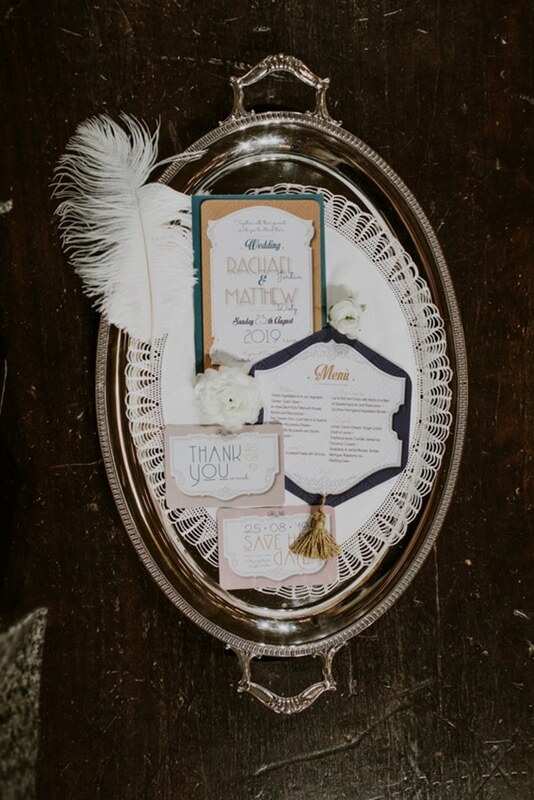 We are sharing today a unique styled shoot inspired by the 20s! 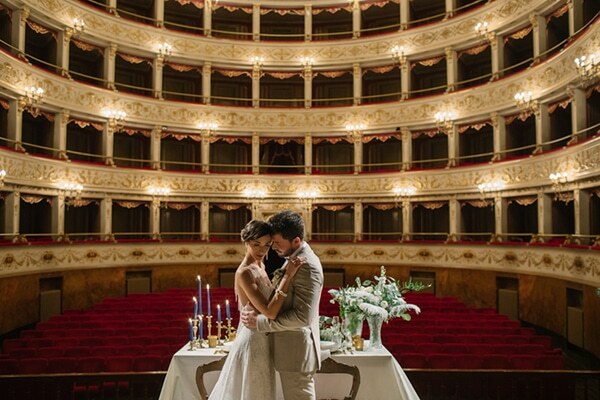 The Gentile Theatre in Fabriano, Italy was the perfect setting for this shoot with its retro atmosphere. 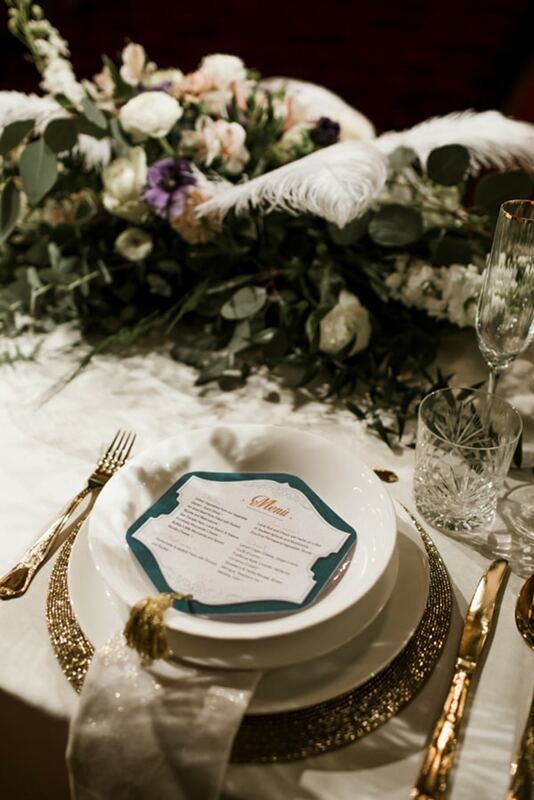 On stage, a beautiful table setting with gold details, candles, feathers and crystal glasses is set for the lovely couple. 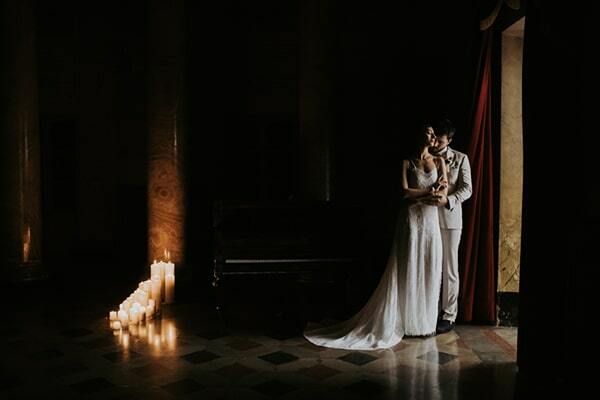 The bride looks stunning in her vintage wedding dress with sequins, just like a Hollywood actress. 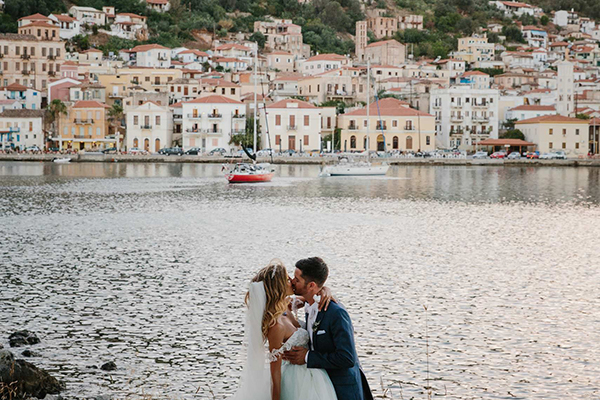 Have a look at the following photos and be smitten! “The curtain rises, time flows, the days pass but every moment brings you back to that old film in fanée style. This is where history begins, your story together begins. Because love is life. 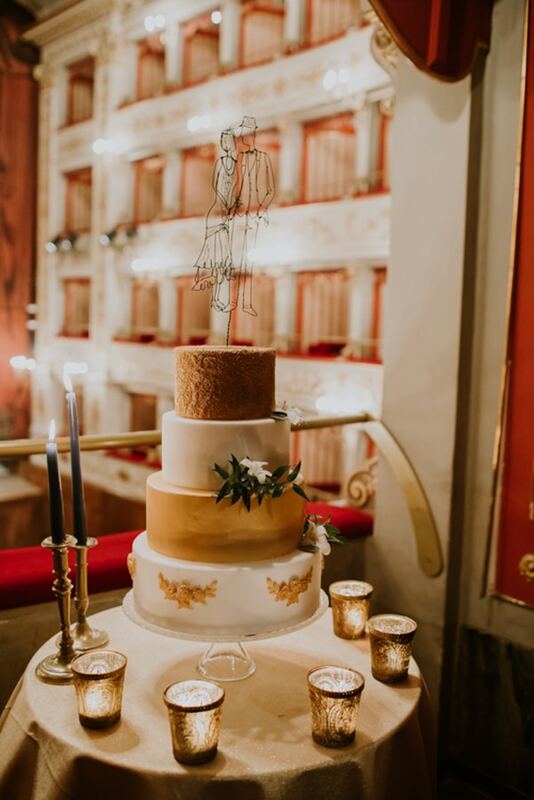 Love always wins.” The Gentile Theatre of Fabriano, with its retro atmosphere is an exceptional location for civil marriage. The mood-board is enriched with a palette characterised by powder pink, peacock and avoi blue, champagne and mustard”. “Against the background of a note from a crackly gramophone playing a foxtrot, this wedding of past times is staged. 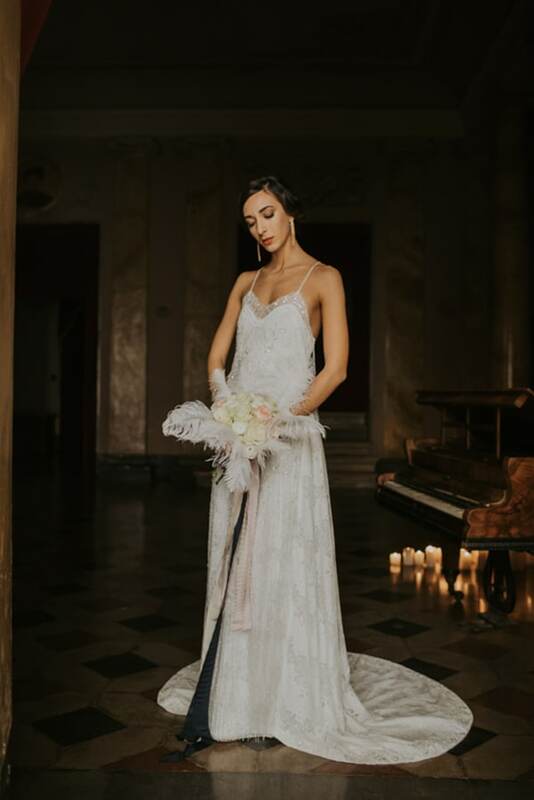 The bridesmaids wait with a bottle of champagne, the entrance of the bride dressed in a gown embellished with sequins and sparkles, soft and ethereal like a veil. 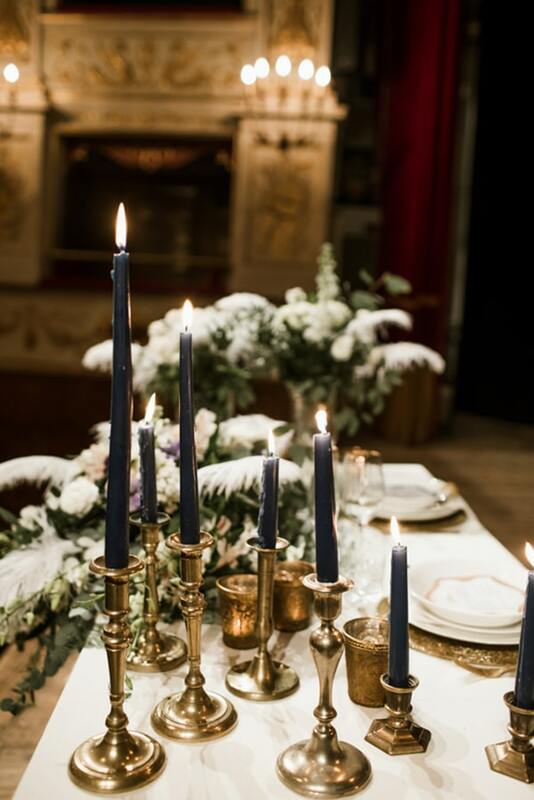 In the boxes and in the stalls the guests are eagerly waiting to welcome the bride and groom, in a blaze of crystal chandeliers and floral decorations, the table spread and enriched with candles and white feathers, and countless candles that accentuate the lights of the theatre, to maintain this special seductive game of the seeing, but just enough, ideal for immersing yourselves in the parts of the protagonists of an unforgettable day”. 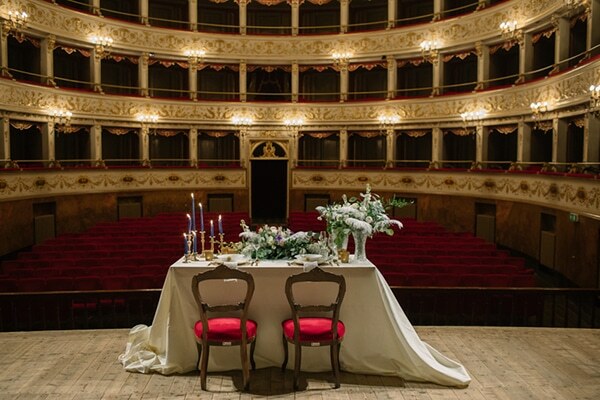 “Le Marche is the perfect region for those who dream of getting married in a theatre and experiencing the magic of a great soiree for a day. It is the home of famous composers as Pergolesi, Spontini and Rossini, impossible then, to not contain a strong artistic essence, so much so as to be called the Region of a Hundred Theatres”. 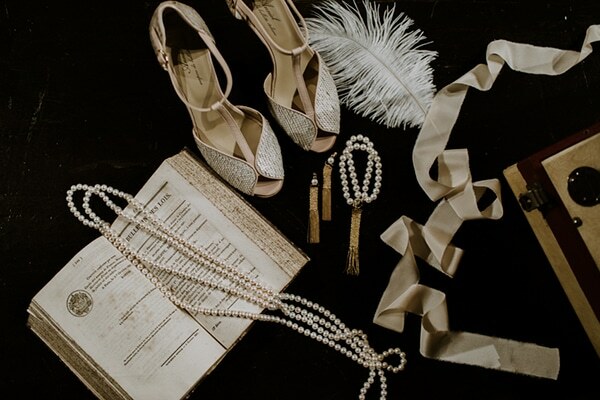 “The bridesmaids are already ready, they look like Charleston dancers with those delicious little dresses full of fringes and beads. Peeking curious from behind the scenes … the first guests are already coming! 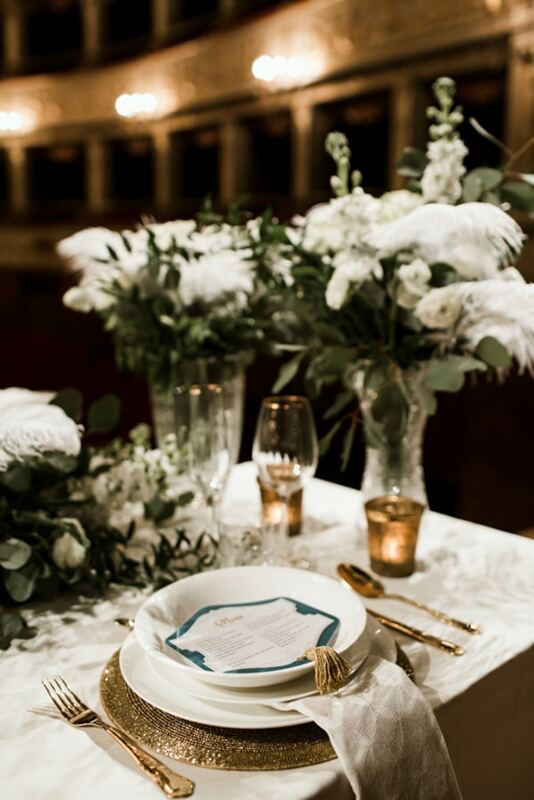 Dresses in velvet and mink, ivory and black silks, taffeta and sequins, strands of pearls and white feathers, just like those in the centrepieces and in your bouquet”. 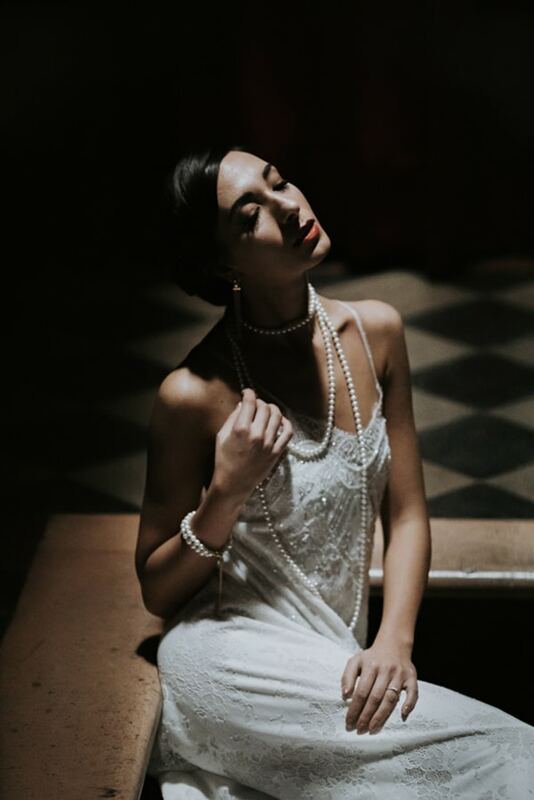 “The red-thread of the Roaring 20s and Art Deco leaves ample room for imagination, because it takes us back to those post-war years when it opened up a new era of well-being and optimism. A new sense of freedom and hope that calls for bubbles, festivity and fun. 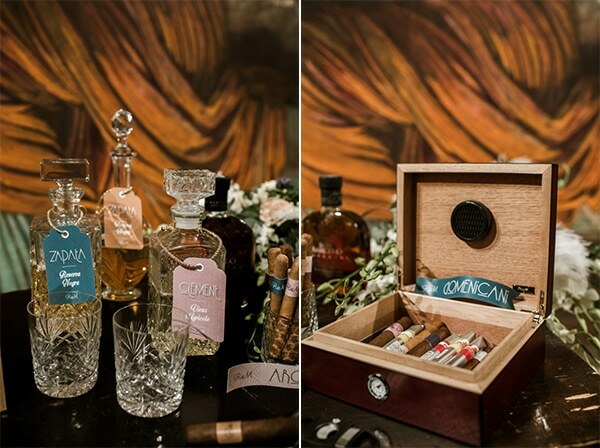 Cigars and crystal glasses are ready for the toast, you are surrounded by warm and golden details, frivolous hats and tuxedos with two-tone shoes, so fashionable in New York in those years. Jewelled sandals, red lips on powder-coloured and sage overcoats, soft lights and laughter so joyous that it covers the rumbles of vintage cars, in the distance”.